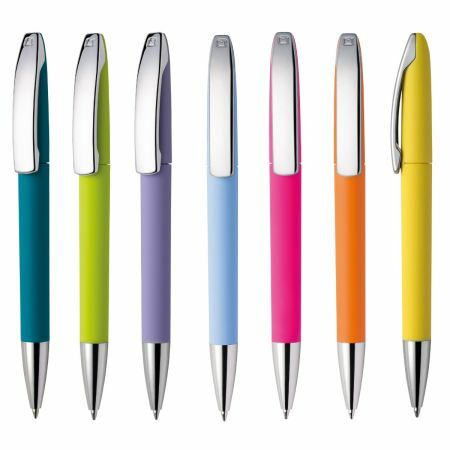 Sold colour pen in a rubberised finish with a glossy clip and chrome push button. 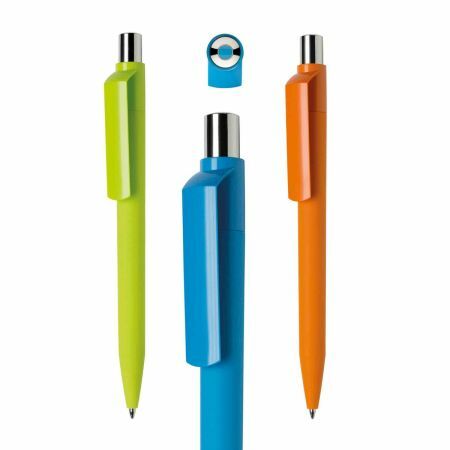 Solid colour pen in a rubberised finish with a chrome cli and tip. Solid colour pen in a matt finish. 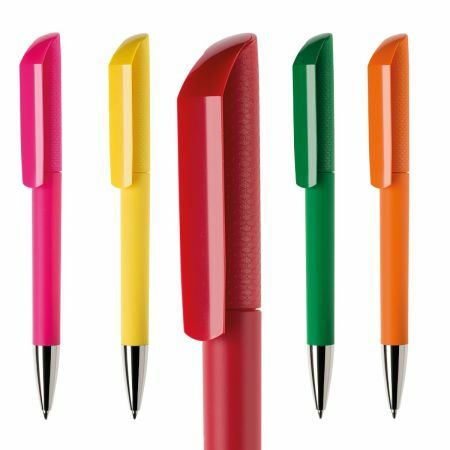 Solid colour pen in a rubberised finish with a glossy clip and chrome tip. 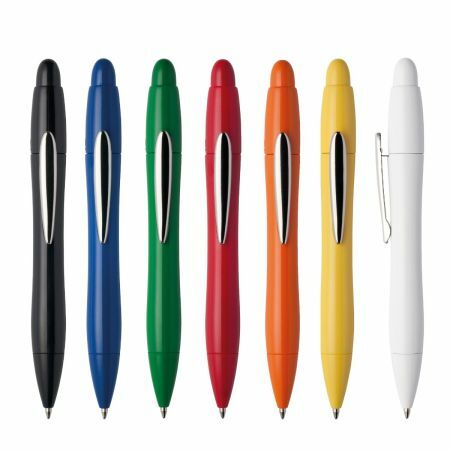 Solid colour pen in a glossy finish with a chrome clip.